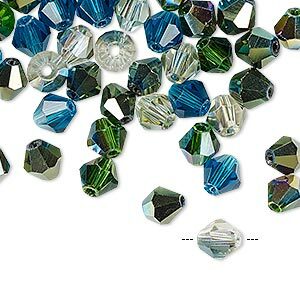 Bead mix, glass, ocean, 6mm faceted bicone. Sold per pkg of 60. 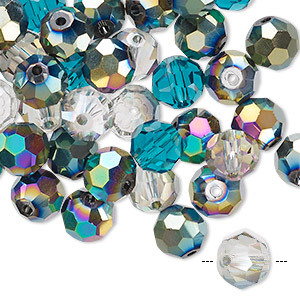 The ocean collection offers a convenient, ready-to-use color mix for designers, featuring cool, iridescent shades. 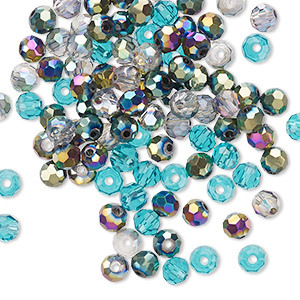 Colors can include peacock, green AB2X, green AB, smoky brown and aqua blue. 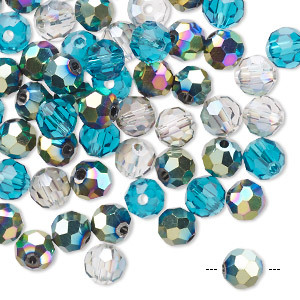 Bead mix, Celestial Crystal®, ocean, 4-4.5mm faceted bicone with 0.9-1mm hole. Sold per pkg of 100.